Posted on Thu, Oct 4, 2012 : 1:24 p.m. The former Elbow Room will reopen as a Mexican restaurant. 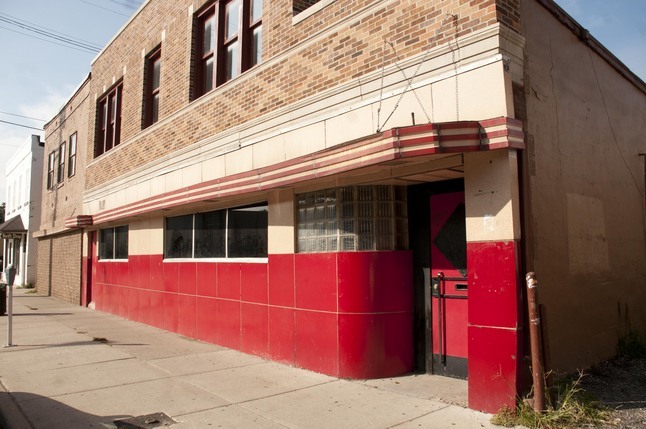 The former Elbow Room, a longtime downtown Ypsilanti dive bar and rock music venue, has been purchased. Its new owner is hoping to have a Mexican restaurant and bar open by early 2013. Andrew Epstein recently bought the bar, at 6 S. Washington St., for $50,000 from the estate of its former owner, Marion Campbell. But that cost does not include a liquor license. It was previously listed for $250,000 with a liquor license on Criagslist several days after it closed in 2011. The bar closed after changing management several times but remained owned by Campbell. Epstein said he and his wife had been looking at locations for several months, including a former Mexican restaurant just west of downtown Ypsilanti, but the Elbow Room was more affordable and in a better area for his type of business than anywhere else he looked in Washtenaw County. “We particularly like downtown Ypsilanti, and that strip on Michigan Avenue has really come around,” he said. “We just want to add to it and I think that another restaurant/bar would be perfect, in addition to Red Rock, Bona Sera and everything else that is part of that scene. Epstein said his wife is from Mexico and they lived in Los Angeles for 10 years, and they want to bring the flavors they enjoyed there to Ypsilanti. “We’re looking forward to offering local ingredients and offering our take on the food we ate in Mexico and L.A.,” he said. Epstein envisions a casual atmosphere with prices that aren’t cheap but not expensive. Although the building didn’t come with the liquor license, the couple hopes to take advantage of a downtown redevelopment liquor license offered by the city. Businesses that invest at least $75,000 in rehabbing a building are eligible for a redevelopment license, which can be around $40,000 cheaper than the market rate. Epstein said the days of regular live music at the Elbow Room are probably done, but he is a musician himself and had previously performed at the bar. He said he would like to see some live music for special events, but said that idea still had to be thought out. The second story will probably first serve as an office and possibly be renovated to include an apartment, Epstein said, but he added renovating the first floor is the priority. He said the project is still in the planning stages, but he and his wife are excited to own the building, especially one where he used to spend time performing and hanging out. Fri, Oct 5, 2012 : 3:27 p.m. This is a serious blow to the live music in Ypsilanti. There isn't going to be any live music downtown now. Fri, Oct 5, 2012 : 5:48 p.m.
Looks like there wasn't any at the Elbow Room anyway seeing as it's been closed since sometime in 2011. Fri, Oct 5, 2012 : 1:26 p.m.
For $50K, I could see buying it and opening as a private club. Fri, Oct 5, 2012 : 3:19 a.m.
Fri, Oct 5, 2012 : 2:54 a.m.
Um, I'd love to see a place with SoCal type Mexican food. It's so good to see Ypsilanti blossoming like this. A few suggestions: shredded beef tacos (these are fried with meat inside, then served with fresh salsa), machaca burritos (Fidel's signature dish had chile verde sauce over them). I have a recipe for the Mexican pickled carrots that I will share. I hope that Ann Arbor can yet have a good Mexican restaurant too. Looking forward to seeing what the Mani Osteria version will be. Fri, Oct 5, 2012 : 12:56 p.m. It's not a full-service restaurant, but you can get some great Mexican flavors in Ann Arbor at Taco King taqueria inside of Tienda La Libertad grocery at Liberty/W. Stadium. I love the carne asada tacos! Fri, Oct 5, 2012 : 1:52 a.m.
Thu, Oct 4, 2012 : 10:16 p.m. I am trying to imagine where this is. I can see that red building but still stumped. At any rate I will figure it out. Glad to know we are finally getting a Mexican restaurant downtown. Fri, Oct 5, 2012 : 12:59 a.m. It is on Washington just south of Michigan around the corner from the Tap room. Thu, Oct 4, 2012 : 7:54 p.m. The link to Bona Sera takes you to the piece on Red Rock. Thu, Oct 4, 2012 : 11:13 p.m.
Thu, Oct 4, 2012 : 7:12 p.m.
Before this became a hipster hangout about seven years ago this was the best punk rock and metal club outside of Detroit. I have fond and hazy memories of this place. Thu, Oct 4, 2012 : 6:28 p.m. Outstanding! Can't wait to try it out. Hope they get it open quickly. Thu, Oct 4, 2012 : 6:23 p.m. It's going to need an extremely thorough cleaning before I'd ever eat anything from there. Thu, Oct 4, 2012 : 6:20 p.m.
Good news. $50k is quite the deal. Thu, Oct 4, 2012 : 8:49 p.m. Probably spend 7 - 10 times that in renovations and cleaning. Thu, Oct 4, 2012 : 6:19 p.m.
&quot;renovating the first floor is the propriety&quot; priority? Thu, Oct 4, 2012 : 6:22 p.m.
Thu, Oct 4, 2012 : 6:08 p.m.
A nice addition to an improving area. I hope they have a good happy hour! Thu, Oct 4, 2012 : 5:35 p.m. I was &quot;banned for life&quot; from the Elbow Room in about 1974 or 1975. (it involved parlor tricks and dollar bets) I never sought clarification if I was banned from the business or the address. Fri, Oct 5, 2012 : 4:47 a.m.
Thu, Oct 4, 2012 : 6:32 p.m. I didn't frequent there back in the 70's, but when that was my old stomping grounds it was pretty hard to get banned from there. Those must've been some kind of parlor tricks and bets! Thu, Oct 4, 2012 : 6:03 p.m.
maybe I'll ease back in to it with a to go order. Thu, Oct 4, 2012 : 5:45 p.m.